Upgrade the look of your space when you turn to the team at our local flooring showroom. At our store, we are available to perform a complete laminate flooring installation in Valrico, FL, for homes and businesses of all sizes. With our selection of laminate strips and other products, you are sure to find something you love to fit with any theme. Our staff is happy to meet with you to discuss the benefits and features of every product in stock. Visit us today to discover options for each room in your space. Are you ready for a new style throughout your space? When it is time for a change, shop with us to discover your options in laminate floors. Whether you are shopping for the classic look of hardwood or something unique for your kitchens and bathrooms, we have the right options at prices that fit any budget. Our inventory of laminate strips and planks includes something to meet even the most discerning tastes. Are you looking for a budget-friendly way to enhance the atmosphere in your home? 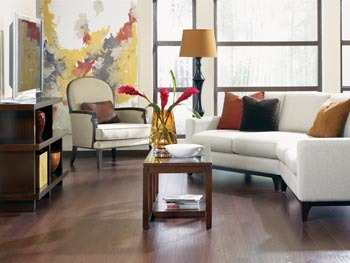 Laminate floors are an affordable alternative to other flooring varieties, and they are easy to install in any space. Many homeowners want the look of hardwood in their spaces, but do not believe the material will fit their budgets. From kitchens to living rooms, our floors make the perfect addition to every room. After you spend your time searching for your new laminate floors, don’t leave your job in the hands of just anyone. Our flooring contractors are available to complete projects of all sizes and complexities. With us on your side for your installation, you will receive the leading standard of service for each of your needs. Contact us to schedule a laminate flooring installation at your location. We proudly offer laminate strips, planks, and other products for clients throughout South Brandon, Fish Hawk, Riverview, New Tampa, and Valrico, Florida.